Tarot Tuesday! The card for the week is the Nine of Pentacles, representing: Prosperity, wisdom, value and creativity. The Nine of Coins indicates wealth, not only financially (a lovely aspect of this card! ), but also in the sense of internal richness, a feeling of prosperity within your being. As you embrace the gift of abundance, you become more generous with those around you. You happily share your wealth. By doing so, you find that prosperity comes back to you in even bigger ways. This is a time to value your creative gifts. You are realizing that you have much to offer, and it’s only natural that you would wish to contribute in some way. 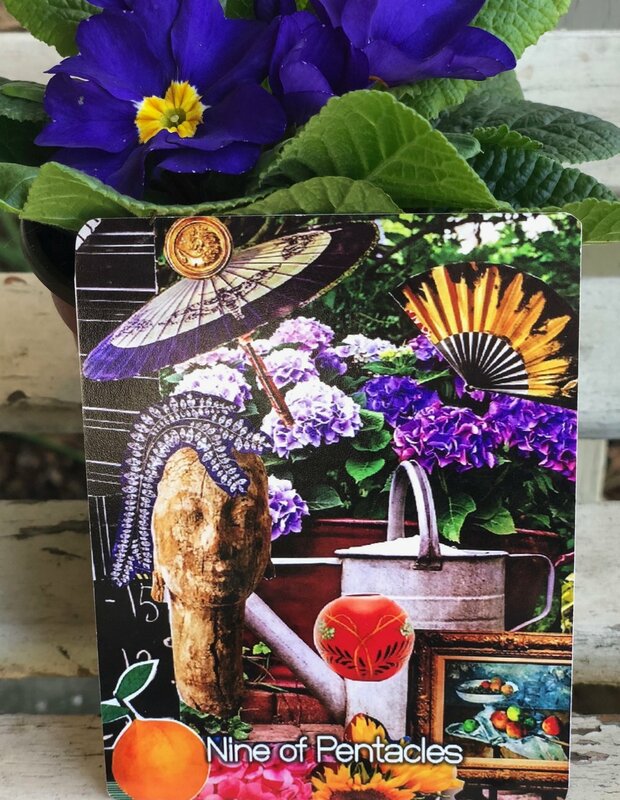 The Nine of Pentacles encourages you to give fully of yourself, and let go of any lingering fear you may have about sharing your talents. Consider this a wise investment, within yourself and in the world around you.